It sounds almost cliché at times to call Hawaii a paradise. The orange sherbet sunrises, verdant rainforests, golden and black sand beaches and smoking volcanoes will have visitors rethinking their definition of the word. There is nothing cliché about these islands. Hawaii captures not only the vast natural beauty of the state, but also the indelible warmth and spirit of the people who call it home. With 19 distinct volcanic islands, Hawaii is an archipelago located over a geological hotspot in the Central Pacific. Six of these islands are open to visitors and have a tourism-driven economy. The Big Island of Hawaii is the largest of the islands and is home to the most active volcano in the world, located in Hawaii Volcanoes National Park. Hilo is the largest city on the Big Island and home to natural wonders including Rainbow Falls and Kaumana Caves. The most populous and developed island, Oahu is home to the state’s capital, Honolulu. It is the governmental and commercial hub of the island chain, and arguably one of the best-known destinations in Hawaii. Waikiki Beach has become a mainstay for tourism with its hotels, high-rises, surfers and sun-worshipers who gather here year-round. Just to the west of Honolulu is Pearl Harbor. Visit the national memorial and museum for an insightful and solemn look back into the start of the United States’ involvement in World War II. Maui, the second-largest of the islands, has several resort areas on the western side including Lahaina, Kaanapali and Kapalua. In addition to luxury resorts, championship golf courses and endless shopping opportunities, stunning views can be seen from the summit of Haleakala National Park or by taking a helicopter ride over the volcanoes, jungles and beaches of the island. Known as the “Garden Isle,” Kauai is covered with lush tropical plants and is home to several natural wonders such as the Na Pali Coast, Wailua River and Waimea Canyon. As a top diving destination, Kauai has beautiful, unspoiled coral reefs and a variety of fish not found anywhere else in the world. Molokai and Lanai are the least-developed islands of Hawaii and are perfect for a relaxing and secluded beach getaway. A multiethnic blend of American, Asian and Polynesian influences, Hawaiian cuisine has been making a resurgence with fine and casual dining throughout the state. Replacing pizza and burgers as the late-night comfort food of choice, ethnic noodle stands and houses are popping up in greater numbers. Check out Hamura’s Saimin Stand (think homemade ramen noodle soup) in Kauai or Jimbo’s Restaurant in Oahu. Another staple in local Hawaiian cuisine are plate lunches. These usually consist of a single plate with scoops of rice and a protein, such as kalua pork, beef teriyaki or chicken katsu. For a romantic atmosphere with an incredible view, try the CanoeHouse on the Big Island. The local seafood offerings like Hawaiian snapper and gobo shrimp reflect the restaurants’ Pacific Rim origins. One of the best upscale restaurants in Maui, David Paul’s Lahaina Grill serves signature dishes like seared Ahi tuna with jasmine rice or kalua duck. All international flights and the majority of those coming from the mainland U.S. arrive at Honolulu International Airport (HNL) on the island of Oahu. Direct service from the mainland is also available for smaller airports in Kahului on Maui, Kona on the Big Island and Lihue on Kauai. From each of these airports, travelers can connect to an inter-island flight using Hawaiian Airlines, MarJet Hawaii, Mokulele Airlines, Island Air, Pacific Wings and the discount carrier, Go! While on Oahu, the cheapest way to get around is the public transportation system called TheBus. There are taxis on all the islands, but for longer stays it’s more efficient to rent a car. Be sure to book your rental car as soon as possible, as prices are based on supply and demand. Boasting 11 different climate zones, the weather in Hawaii can vary greatly due to elevation and terrain. The overall climate of Hawaii is subtropical due to the close proximity to the ocean, which moderates temperatures with gentle leeward breezes. There are only two seasons in Hawaii – summer (May to October) with average highs around 85°F, and winter (November to April) with temperatures that rarely fall below 65°F. Areas on the northern and eastern flanks of the islands will receive the most rainfall due to trade winds bringing in precipitation. The winter months tend to bring the most rain, yet there is no best or worst time to visit. The high season runs from mid-December to mid-April, when flights and hotel prices are the most expensive. The crowds tend to thin out from mid-April to May, as well as mid-September to November; this is the best time to find great deals. Emerald mountains, deep valleys, and jagged cliffs make Waimea Canyon of Kauai a grand sight. This natural wonder offers majestic views of an extraordinary landscape, so beautiful you cannot fully grasp its majesty. Also known as the Grand Canyon of the Pacific, it is often compared to its bigger relative (Arizona’s Grand Canyon); however, with such exquisite features, it stands on its own as a popular attraction and unique beauty of Kauai, Hawaii. Enrooted more than 3,000 feet deep, and covering approximately 14 miles, its tremendous decor offers insight to a land before time. Red soil and volcanic remains leave footprints of the miraculous events that have caused one of earth’s most spectacular treasures. The Waimea Canyon is one of the reasons why Kauai is an exotic destination. Its splendor and adventures are unparalleled, and it is an ideal location to explore life’s luxuries. Kauai is the oldest and fourth largest of the Hawaiian Islands in the United States. Sometimes referred to as the Garden Isle, this is manifested in the vast mountainsides, dense forests, and striking beaches that surround the island. It is rich with culture and much of the heritage can be seen dotted along the island’s landscape. Painted with coconut palm trees, the popular Coconut Coast showcases different faces of culture from water activities such as mountain tubing to historic attractions like the Sleeping Giant. 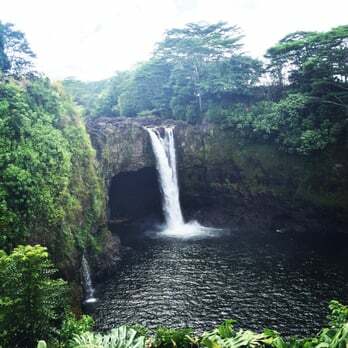 In Lihue, visit the legendary Alekoko Menehune Fishpond and capture the beauty of the Wailua Falls as the water tumbles 80 feet into the Wailua River. The island’s South Shore also houses McBryde Garden, which was a backdrop in the movie, Jurassic Park; and the Koloa Heritage Trail, which serves as an open history book with presentations of historical landmarks. The island’s immaculate beaches also provide a gateway into a world of oceanic adventures from whale watching and kayaking to canoeing and snorkeling. Your vacation will not be complete without shopping in the trendy shops, boutiques, markets and retail stores. Fashionistas can get their hands on “made in Hawaii” jewelry, fabrics, produces, and handicrafts; as well as international merchandise. The shopping districts are also a great way to meet the friendly natives and to indulge in the Hawaiian customs. At night, you can nestle under the stars and observe the thrilling performances of a Hawaiian luau. After indulging in delectable Hawaiian delicacies, the hypnotizing beats of live dances and music flow through the cool air. The culinary temptations of Kauai are extraordinary. The gastronomy provides a taste of Hawaiian delicacies blended with multicultural influences. Throughout the island aromas from elegantly created foods like seafood, pork teriyaki chicken and beef, mango cilantro, fill the local restaurants. With the backdrops of gorgeous sceneries smooth sounds of live entertainment in the background, the vibes at the restaurants are irresistible. No matter what foods you may be craving, there is a plethora of cuisines that will delight any pallet. Kauai experiences a subtropical climate. During the summer (June-October) the weather averages around the high 80s to mid 70s. In the winter (December-April) the temperatures fluctuate between the high 70s to mid 60s. Lihue Airport is Kanai’s main gateway to the other Hawaiian Islands and locations around the world. Renting a car is a convenient way to discover the island’s famous attractions. Shuttles also provide sightseeing journeys to of some of the major sites and there are a variety of tours that travel to various scenic locations and tourist attractions. Get a bird’s eye view of the picturesque landscape by taking a helicopter or plane ride. However, strolling on the beach or through the island’s narrow pathways is a leisurely way to enjoy the weather and overwhelming beauty. Worry Less and Smile More! Anyone else tired of reading the news? It’s been a rough year on many fronts, with global economics, violent shootings and unpopular politics filling the news cycle. Some days it seems next to impossible to filter through the negativity and find good in the world. It begs the question: Are optimistic people living in a state of self-delusion? Where is the value of positivity? Before you give up on humanity, really take a look around. There is good everywhere. There are wonderful things that will soften even the most callous heart. The key is ending the cycle of negativity in favor of the power of positive thinking. Our constantly connected culture comes with some serious perks. Social media, smart phones and tablets help us connect with loved ones on a level never before dreamed possible. However, all that connectivity keeps us dialed into the outside world all the time. Designate a part of your day, preferably a large part, as tech-free time. Give yourself permission to disengage from cynical Facebook posts, guilt-inducing blogs, dreaming of a better life on Pinterest and following negative news stories. Use this time to engage with the people around you. Take 30 minutes to read books to your kids, prepare a meal with your spouse or call a good friend. These simple acts will boost your sense of well-being. When we make a conscious effort to leave our digital life behind, we re-enter the real world where you can make priceless memories. You can find the good in the world. You can break the cycle of negative thinking. It all starts with where you choose to look. Some people wallow in the negative. You know the people; they are the dramatic, needy, negative, energy drainers who you feel obligated to stay close with. Let them go. Surround yourself with positive people, and you will find yourself becoming more positive in the process. Choose to spend your time with those who inspire you, lift you up and help you see the world for the beautiful place it is. These good people will put your challenges in proper perspective and keep you from focusing your energy on things beyond your control.Here are some lessons we can learn from our children on being happy. Now that you’ve learned to worry less by reconnecting with the real world and ditching the negative influences, it’s time to smile more. Smile more and mean it. Smile more and feel it. Happiness is a choice. It’s one we make over and over, every single day. We can choose to find joy. Get outside, celebrate the big and little moments, find your passion and follow it with purpose. If you can’t find the good in your world, create it. When you dedicate your time and talents to bettering the lives of others, you become the good you want to see in the world. What a powerful sentiment. What are the consequences of letting go of worry and choosing to see the positive? First of all, you will stand out among the crowd. Some people may categorize you as naïve or idealistic, but you can’t please everyone all the time. Don’t worry about the detractors. However, there will be an even larger number of people awed by your influence. People will flock to you, and they will follow in your footsteps. Don’t run from leadership. Put yourself and your positive attitude out there. Disappointment may follow, but don’t let yourself get sucked back into the vortex of worry and self-doubt. Even the best people have horrible days, but bad days do not have to become a habit. The world is a beautiful place, full of good people who are doing a great work. Join their ranks. You have power over your emotional landscape, and you really can choose to worry less and smile more. Testimonials from Successful Directors in Coastal Travel Vacations! Learn More Today – Click Here! Think about some of the tribulations and temptations you face as a part of everyday life… arguments, sexual immorality, abuse, bullying, drug addictions, suffering, self-control issues, bad habits, how to overcome obstacles, pride, resistance… and that’s just for starters! Everything on your list of worries arises from the enemy, tempting you to yield to your urges of the flesh. But, what if you could replace every single word on that list with ideas like freedom, hope, love, uplift, help, peace? It’s all yours for the asking!